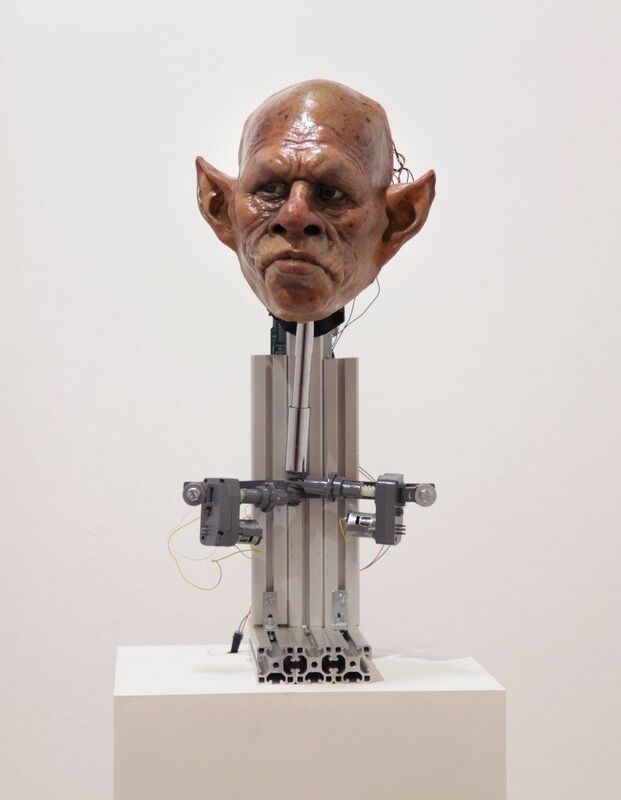 CFCCA welcomes back former artist-in-residence Ting-tong Chang, whose exhibition Clockwork Dreams presents a new body of work investigating the history of automata in Europe as a means of exploring utopian visions. The word "automata" is often used to describe self-moving machines, especially those that have been made to resemble human or animal actions. From Jacques de Vaucanson’s Digesting Duck (1739) to Andreas Jakob Graf Dietrichstein’s Mechanical Theatre (1752), automata have entertained kings and princes, taught moral lessons to citizens and raised deep philosophical questions. Ting-tong constructs talking automata presenting absurd dialogues exploring socio-politically loaded issues, whilst a series of drawings chart a journey through a mythical landscape. Various characters and personalities feature, disclosing their private fates and universal fears: hooligan jaguar warriors, chav tribal wars, council huts, Western Union and NHS shaman. The exhibition opens with the newly commissioned donation box So Far So Good to replace the much loved Pay-as-you-go (2012) situated by CFCCA's front desk. Every time a visitor donates a coin, Dr Fish comes to life, mimicking the automated information services of corporations with which we are all familiar. A TV nearby plays video documentation of the 2015 performance Whence Do You Know the Happiness of Fish?, during which Ting-tong constructed an indoor fish farming environment controlled digitally by the stock market fluctuations of industrial fishery corporations. Ting-tong Chang was born in Taiwan and received his MFA at Goldsmiths, University of London where he currently lives and works. Purposefully building his installations to be ‘machine-like’ his work echoes experiences of life in a Chinese society focused on manufacturing, exportation and materialism. Since settling in the UK, wider issues of consumerism in Western society and environmental concerns have dominated his work.